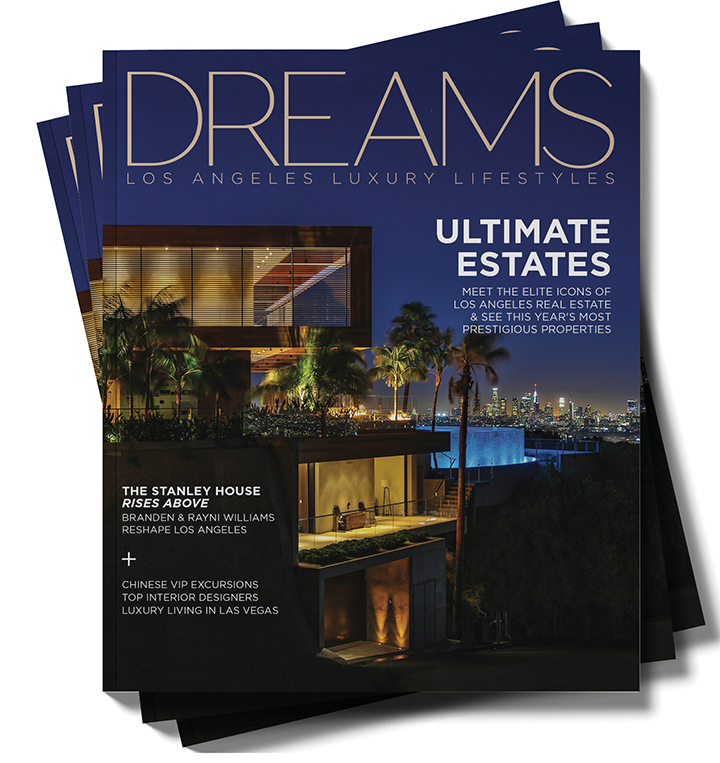 Dreams Magazine targets the affluent and international cosmopolitan markets in Los Angeles and Las Vegas as the top luxury lifestyles magazine in the region. Through compelling content and visual storytelling, we cover the topics most desired by our affluent and sophisticated readers; such as real estate, autos, business, travel, people, design, fashion and more. The Dreams reader is affluent and sophisticated, with an interest in our content themes and topics. 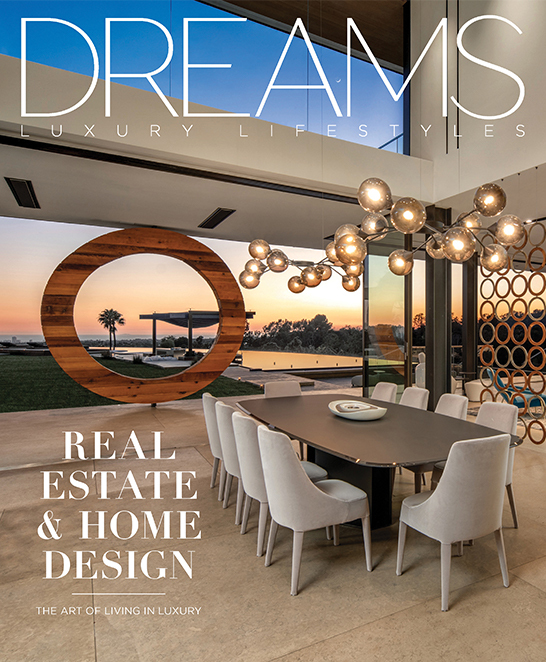 Our publications are distributed directly to affluent neighborhoods and c-suite offices, and through luxury car dealerships, luxury real estate brokerages, jewelry stores, hotels and restaurants in Los Angeles and Las Vegas. Steve Tobia is Founder/CEO of DREAMS Global Network and serves as Publisher of DREAMS Magazine that is distributed in Southern California, Las Vegas and China as the premier luxury lifestyle magazine and marketing network. Tobia began his career with the Los Angeles Chamber of Commerce, then was appointed Vice President of Coca-Cola Enterprises at the age of 29. He went on to found Pacific/West Communications Group Inc., at the time the largest public relations and marketing firm on the West Coast. His civic initiatives span across numerous areas including serving as the Assistant Commissioner for the 1984 Olympic Games Field Hockey Games in Monterey Park, where he began his long-time relationships in the Asian market. He personally designed the internationally iconic logo, D.A.R.E. and the initial marketing campaign, chaired California’s landmark recycling system, co-authored “6X - The Tech Coast” with Los Angeles Economic Development Corporation, as well as the economic marketing plan for the San Gabriel Valley Economic Partnership. Tobia received the prestigious United States Congressional Record of Honor along with special honors from the California Governor, LA Mayor and LA County Board of Supervisors. A native of New York, he arrived in Los Angeles as a recipient of the prestigious CORO Foundation Fellowship in 1978 and received his Master of Arts in Urban Studies from Occidental College. Ty Fischer is the Associate Publisher of DREAMS Magazine. He manages the day-to-day operations of the company and leads its marketing initiatives, overseeing branding, digital marketing and direct mail campaigns. He works closely with the Publisher to implement strategic planning and serves as the point of contact for advertising and sponsorship requests. Natalie Friberg is the Editor-In-Chief and Creative Director of DREAMS Magazine. She is the driving force behind the magazine’s editorial direction; and directs its artistic vision and implementation. She also spearheads creative branding and marketing efforts. Natalie is the point of contact for major editorial features and community relations. Don Logay is the Associate Editor of DREAMS Magazine. He is a seasoned journalist with 17-years experience that includes being Editor-in-Chief of three national magazines and winning numerous BPA (Business Press Association) awards for Excellence in Journalism. He began his career as Writer, Director and Producer of business theater and entertainment services for Fortune 500 companies worldwide. Sophia Jimenez is a graphic designer at DREAMS Magazine. She works closely with Natalie on creative strategy and direction, and is responsible for layout, advertising design, and photo editing for all print and digital media. She also creates logo, event and social media marketing creative elements. Vladimir Babnic is a graphic designer at DREAMS Magazine, and brings decades of experience in publishing and creative design to the team. Jenna Green is the Editorial Manager for DREAMS Magazine. She is the point of contact for editorial requests and also helps execute company marketing initiatives through social media and email marketing.